The restaurant business is often cited as one of the most competitive industries, particularly so for new brands trying to make their name. 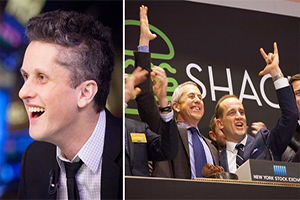 Friday, 30th January, 2015 was a special day for one such relative newcomer – Shake Shack (NYSE: SHAK) debuted on the New York Stock Exchange. The restaurant chain launched its first location in 2004 but it took almost 5 years for a second outlet to open its doors. This steady approach to growth has enabled the company to focus on what it does best and to establish a stable position from which to move forward. As founder and chairman Danny Meyer said, "This company really was built one burger at a time." While it can be tempting to cast a wide net to capture the largest market share possible, Shake Shack remains dedicated to making sure its core offerings are of the best quality, with the goal that high standards will translate into greater customer retention and that will underpin their growth scheme. The strategy is proving successful with the company noting in its IPO prospectus that it plans on opening at least 10 restaurants a year for the foreseeable future. In the last month, a new location in Baltimore and two in the Boston area have opened their doors. 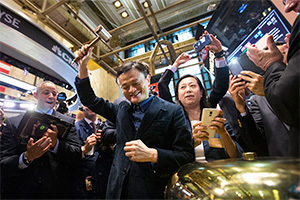 As of their IPO day, Shake Shake had more than 60 locations worldwide. Shake Shack is one of the prominent names in the restaurant revolution known as "fine casual" dining. Aiming to be more than just another fast food outlet, Shake Shack positions itself as a lifestyle brand, one that sees itself as part of a portfolio of high-end brands that discerning consumers prefer. Taking the best parts of fine dining in combination with the convenience of fast service restaurants, Shake Shack is taking a visible role in the growth of a whole new hospitality category.